Dementia Services: fit for purpose? Finding out you have dementia is one thing, but then finding services are tailored for people who are much older than you can be an added blow. As researchers, we have found people with young onset dementia (before the age of 65) want to know things that they cannot readily find from existing services. For example, dementia is not just about memory loss and participants in our interviews said they wanted to know the ‘early warning signs’ of dementia so they knew what to look out for and seek help earlier. Others wanted greater psychological support at the point of diagnosis, ideally with someone to be there throughout their dementia journey such as a counsellor. Some people with dementia felt that information about exercise and healthy activities was lacking and wanted more readily available information so they could make healthy lifestyle changes. This they believed would help them keep active and therefore independent for longer whilst preventing loneliness. Family carers on the other hand felt peer support mechanisms were under-developed. They want help to identify practical and psychological coping strategies and they believe that carers have their own coping mechanisms but just need help to share them. A particular need was for greater information in a format that is digestible and timely. This week sees the start of the Economic and Social Research Council (ESRC) Festival 2017. The ESRC Festival of Social Science takes place from 4-11 November with over 300 free events across the UK. The festival, now in its fifteenth year, is designed to promote awareness of social science research by enabling scientists to engage with the public through debates, talks, workshops, seminars, film screenings, theatre, exhibitions and much more. The festival is a unique opportunity for people to meet with some of the country’s leading social scientists and to discover more about the role research plays in their everyday life. A full programme is available at www.esrc.ac.uk/festival. Join the discussion on Twitter using #esrcfestival. Logos for the festival can be downloaded from the ESRC website. Our own ESRC event is a dementia services event on November 7th at Salford Museum & Art Gallery, being delivered jointly with Manchester Metropolitan University. As well as hearing about recent dementia services research at both universities, including that outlined above, we will be seeking audience views about services and their tips for others living with dementia. We need other examples of positive statements to include in a booklet and video we are producing as an output from our Young Onset Dementia study funded by the Booth Charities Salford. We are also consulting on other ‘early warning signs’. If you have experiences of young onset dementia and/or want to hear more about involvement in our study you can contact Dr Tracey Williamson on T.Williamson@salford.ac.uk or tel 0161 295 6424. We especially need to interview people from less heard populations living with young onset dementia. The Salford Institute for Dementia welcomes you to a workshop exploring environments and how they are viewed by people living with dementia. We will use photographs of hospital, care home and outdoor spaces to share views on how environments are perceived differently by different people and how they could be made more dementia-friendly. Come find out what works for dementia in terms of flooring, colour schemes, seating, therapeutic gardens, artwork, doorways, household products orientation boards, signage, pavements etc. The event will share findings from several research studies into indoor and outdoor spaces and will be hands on and fun. Whether you have dementia yourself or are a family member, friend or carer of somebody affected by dementia, or work with people affected by dementia, you are most welcome to join us. People living with dementia who work with us regularly will be sharing their views first hand. The workshop will begin with a buffet and refreshments in the Reception of the Salford Museum & Art Gallery followed by discussion around small tables in the Museum café. Professor Anthea Innes joined the University of Salford on 13th June as the Coles-Medlock Director at the Salford Institute for Dementia. Professor Innes previously worked at the Bradford Dementia Group at the University of Bradford, both as a researcher and later as a lecturer. She also completed her PhD at Bradford which, “explored the process of changing the culture of dementia care in three settings”. 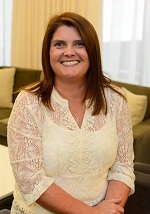 Later, Professor Innes returned to the University of Stirling, where she had also studied as an undergraduate, and worked as a Research Fellow and Senior Lecturer for a decade before moving to become Professor at Bournemouth University in 2011. 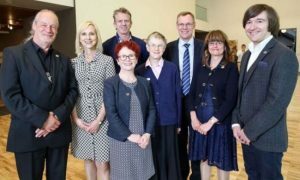 Manchester, Salford and Manchester Metropolitan Universities are teaming up in a new initiative to combat dementia in the region and beyond. To mark Dementia Awareness Week (May 15-21), leading researchers from the three institutions met at the Whitworth Gallery to open a series of collaborations around a range of dementia issues – from biology to social care. Natalie Yates-Bolton, Director of the Dementia Institute at the University of Salford, said she believed that Manchester would be a model for the rest of the UK in dementia care. Read more…..